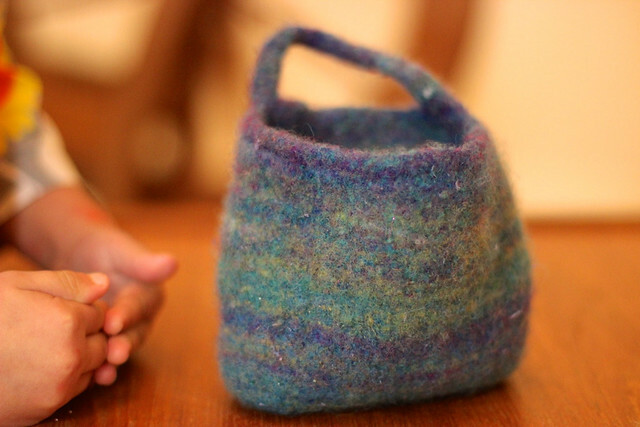 There's nothing quite so satisfying as deliberately felting knitting. 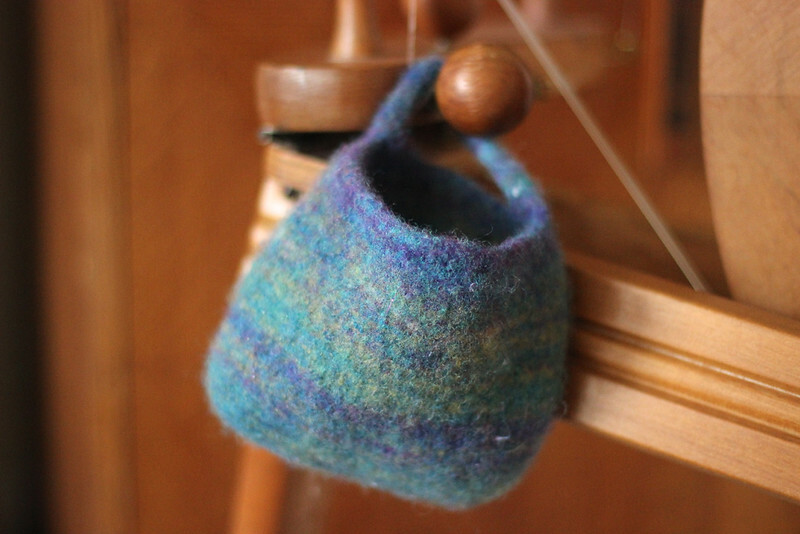 I had a go at felting my spinning wheel pouch by hand, but after what felt like an hour of prodding, squeezing and topping it up with boiling water, I chucked it in the washing machine with a big towel. Hey presto, a little pouch emerged. Quite frankly, if I can keep it out of the hands of a certain little bag-lover I'll be very lucky. 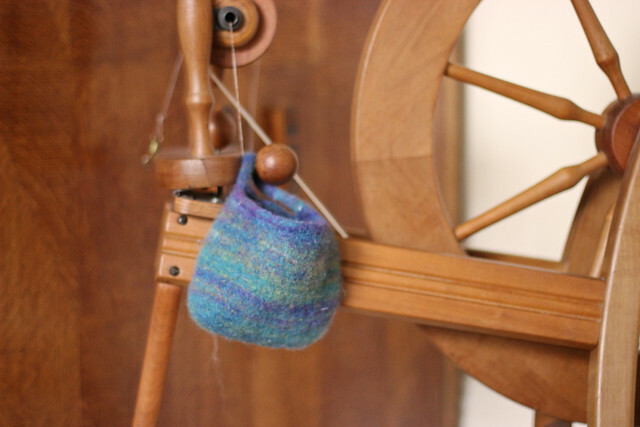 My Ravelry project page, with a few more notes, is here.